The English name for the Book of B’midbar has nothing to do with the wilderness, though this is the translation of the Hebrew name. It is true that some expositors suggest a link between midbar and l’dabber, “to speak”, but this is not a general interpretation. The usual English name is Numbers, since the Book begins with a detailed census of the Children of Israel. 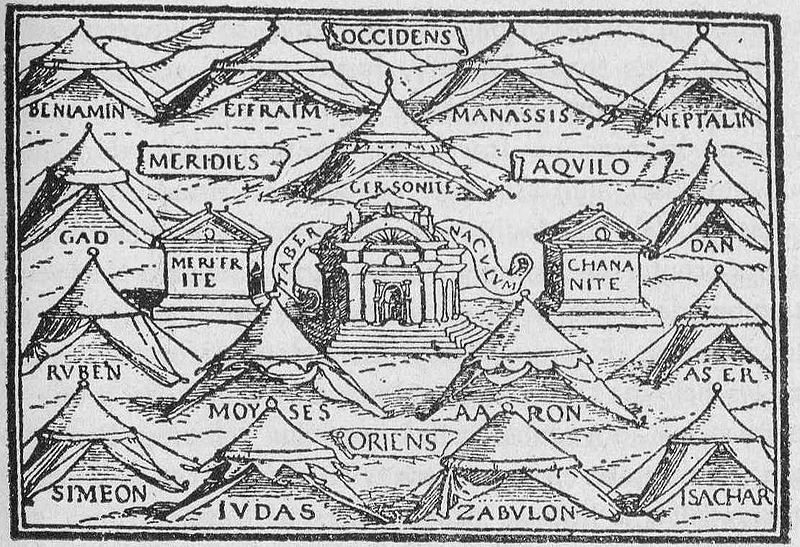 We are not only given the population numbers of the Israelite tribes, but a word picture of the layout of their camp, with the tribes all having their own area “over against the tent of meeting” (Num. 2:2). Each “father’s house” had an ensign; each tribe had a flag; each group of three tribes had a shared standard. 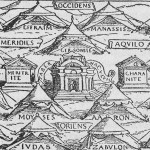 The camp formed a square, a geometrical concept that Moses probably learned from the Egyptians (Assyrian camps are said to have been round or elliptical). An impressive arrangement in which every Israelite knew who he was and where he belonged. Possibly the sheer effectiveness of the plan of the camp and its resulting discipline explain why the sojourn in the wilderness did not devour the people or shatter their morale. Because they were in no-man’s land they had time and space to develop into an organised community. Only in the wilderness could the numbers be given order, system and cohesiveness.